How to set up DEWA account or how to set up DEWA online? While you might be new to Dubai you need to know who is DEWA? DEWA is an acronym for Dubai Electricity and Water Authority. DEWA Provides Dubai with both electricity and water. If you know all of that already, let’s get into the core directly. 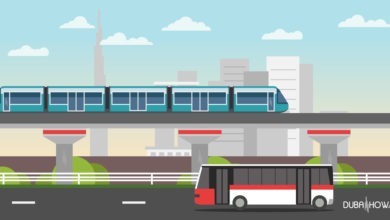 Additionally, if you’re into infographics, you can quickly check the DEWA infographic, that we prepared for you in this post. Provide the required information (By filling DEWA new connection application form). And what are the required documents to set up DEWA account? 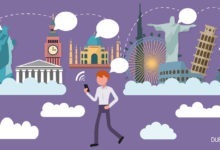 What is DEWA new connection application form? and where can you find it? It’s a simple A4 paper form that you need to fill in some general information about you and the premise. 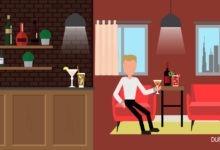 What if the property is leased by the company? N.O.C. (No Objection Certificate) issued by the company. A copy of the company’s Trade license. And finally, a passport copy of the company’s authorized signatory. Now that you got all the above, You’re all set to setup your DEWA account! You can either go to DEWA office and ask for DEWA account or do it from anywhere through DEWA online registration. So remember when you pay your DEWA deposit, don’t lose the original receipt. In order to complete setting up your DEWA account, you’d need to pay an amount of AED 110 non-refundable, or what’s so-called “setup charges”. After you submit your documents, pay DEWA deposit and setup charges (and so set up your DEWA account), your connection will be activated within 24 hours. Online Application Submission Fill-in the online application form with required information. Toll-free DEWA contact number: 800900 – Dewa customer care contact: for any queries, clarifications, and complaints on Dubai Municipality Housing Fees. Tel: +971 4 601 9999 – for queries, complaints, and feedback on DEWA services. Fax: +971 4 324 8111 – if you want to send documents related to your service. On the other hand, you might just need to move into a new house (apartment or villa). In such a case, you don’t need to cancel your DEWA account, but rather transfer it. How to transfer DEWA account? DEWA has a news service “DEWA Move To service “, that facilitates the whole process of transferring your Dewa account to your new address. You can transfer DEWA online by visiting the DEWA website and download their smart application. 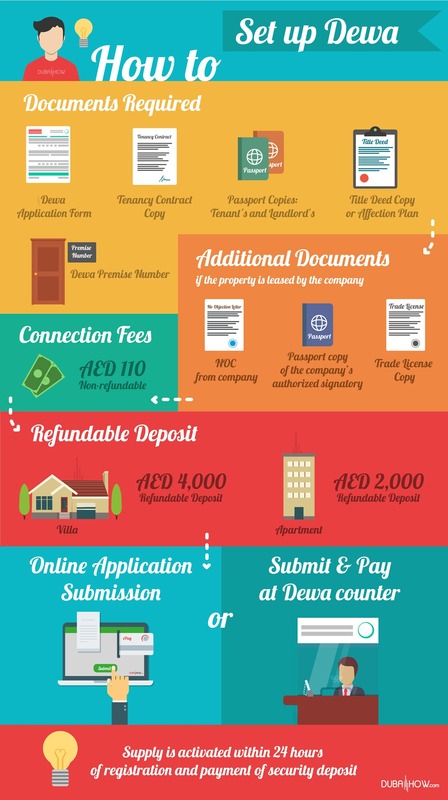 DEWA Move To service allows you to transfer your DEWA account just by submitting the Ejari tenancy contract for the new property. Once the new Ejari contract is submitted, an automatic transfer order is created. This can be also be done through DEWA’s customer happiness centers. Here you can find the closest DEWA office. DEWA Move To service will transfer DEWA deposit along with the account. So you don’t have to bear any new deposit when moving unless the amount required for the new property exceeds the current one. This means if you’re moving from an apartment to another apartment you won’t have to pay anything, but if you’re moving from an apartment to a villa then you’ll need to compensate the difference in the deposit. You’ll need to pay fees of AED 100 for disconnecting electricity & water for small meters. And AED 300 for large meters. 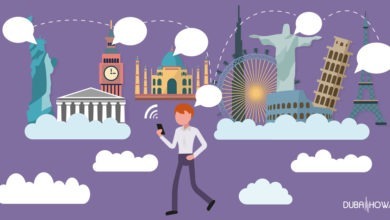 As well as, 10 AED knowledge fees & 10 AED innovation fees. Thukher and Sanad cardholders are entitled to a 50% discount on Deactivation charges. How do you cancel DEWA online? 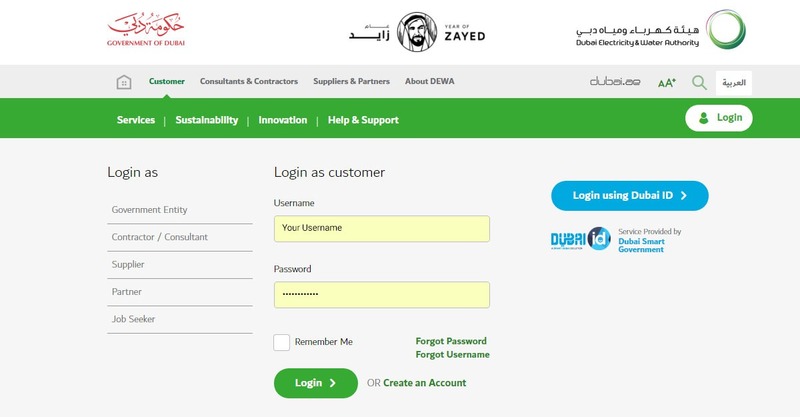 Dewa cancellation process became easy! The service in their application is called (DEWA Move-Out) where you can just use DEWA smart application and pick Move-Out option and follow the procedure. This way DEWA saves you the time and answers the frequently asked questions like: “What do I need to cancel DEWA” or “How can I cancel my DEWA account”, by a couple of touches on your smartphone. 1. Log in with your User ID and password. 2. Hover on your name up right and select De-activation of Electricity and Water (Move-Out) from the menu. 3. Select your contract account, in case a clearance certificate is required, click on the checkbox. Clearance Certificate costs AED 50 + Vat. 4. Pay DEWA bill (any outstanding) amount via Dewa online payment, along with clearance certificate charges (if you selected in the previous step). 5. 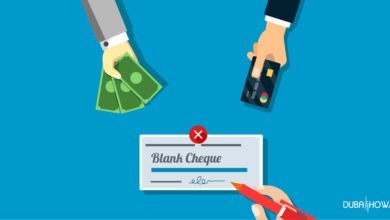 After the payment confirmation, enter a Move Out date, phone number and method of security deposit refund (IBAN/Cheque). You will receive an SMS & Email with Move Out notification number. DEWA final bill will be sent to your registered Email ID. Refund (if any such as security deposit) will be processed via IBAN / Cheque, as you selected earlier. How To Close Dewa Account offline? In case of Companies: Authorization Letter from company duly stamped and signed. 2. 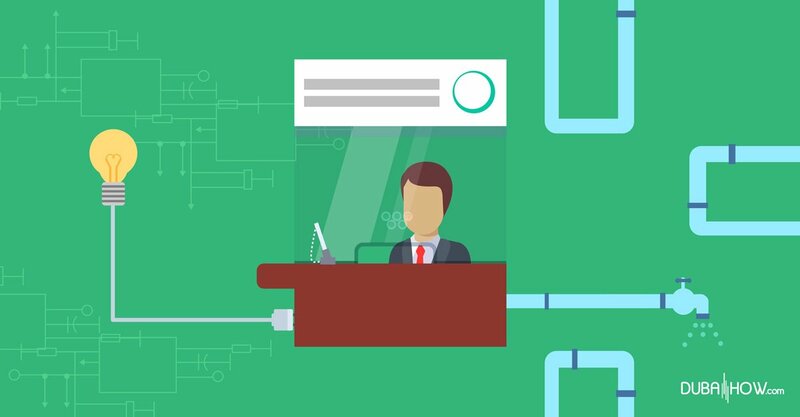 Once your DEWA Move out (Deactivation of Electricity and Water Service) request is created, you will receive an email with a link that allows you to select the refund option (Cheque / IBAN). This way you already made DEWA final bill request. You will receive SMS/ Email with Move Out notification number. DEWA final bill will be sent to your registered Email ID. Final Bill Settlement: You can pay the amount of DEWA final bill through DEWA online payment or in cash at any DEWA Customer care centers (Customer Happiness Centres). Now that you know how to cancel DEWA, we’d like to show you some wrap-up benefits of using Dewa online services. This is where you can create a new account (You simply can sign up online). Activation of Electricity & Water – Dewa Move In service: This is where you can activate the new account after you move in. 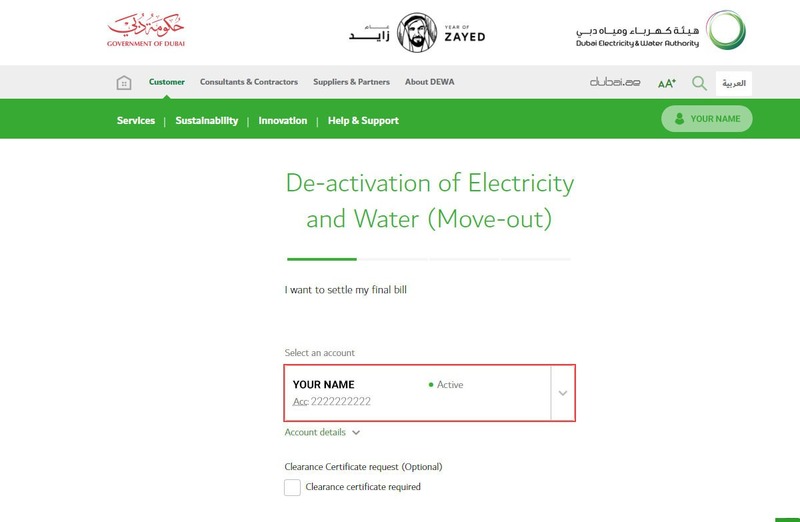 De-activation of Electricity and Water – Move-out: We already mentioned that before in cancellation of Dewa connection. Transfer of Electricity and Water – Dewa Move-to service: We also mentioned this service while talking about account transfer. 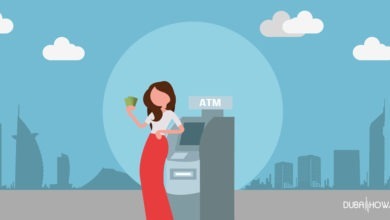 You can pay your bill on behalf of your friend or family member, quickly. View and Pay your DEWA bills quickly and securely using Dewa Online Payment service. Feel free to share with us your experience or ask anything related to setting up DEWA, or transferring it, or even canceling it in the comment section. Subscribe to our mailing list to get the new updates & exclusive freebies! Answer these 7 questions to know what your spirit’s nationality is! 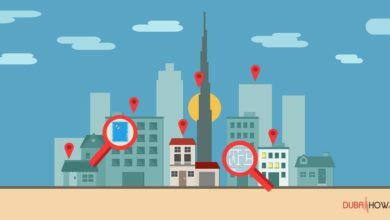 Dubai community: Everything you need to know about this beautiful city. How to's, rules, life hacks, tips and tricks, jobs and much more.